Scott Landscape Design, Inc. is a complete landscape design,construction and maintenance company in business since 1976. All work is done with personal and professional pride. Owner/operators, Laura and Tony Scott, personally oversee each project from concept to completion, in all of of our residential and commercial applications. Customer satisfaction and customer service is #1 and the bedrock of our reputation. Our high quality work is the key reason why Scott Landscape Design enjoys many repeat clients over our many years of business. Always keeping the priorities and budget of our clients in mind, our design professionals provide guidance for the best results for your investment. 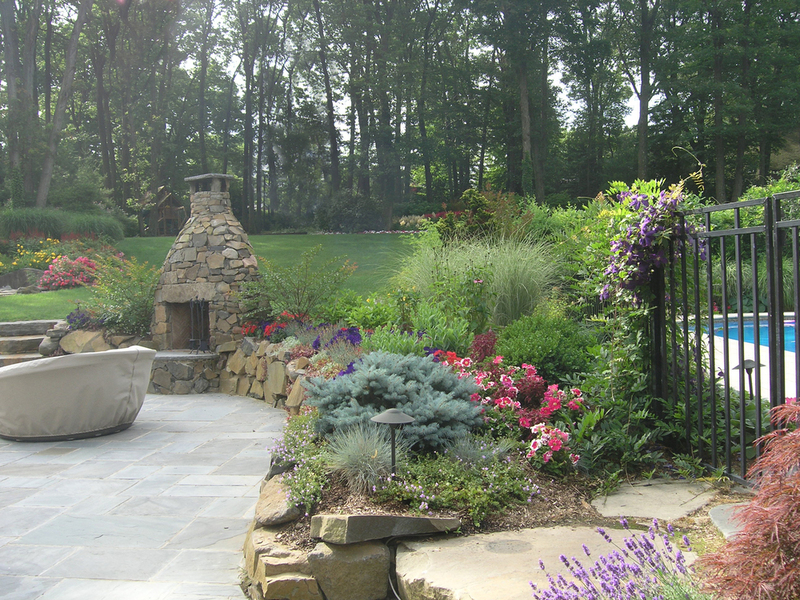 Scott Landscape Design has worked for over 30 years on both commercial and residential projects. Our services include distinctive planting designs, stone walls, steps, ponds, water features, and paving stones for walks, patios, driveways, and parking lots. We have completed a wide range of projects including streetscapes, community gardens, cemetery restoration, roof gardens, housing developments, public parks and more! View our commercial and public projects which include retail parking lots, public parks, cemeteries, senior housing, and community gardens. View our residential projects which include impressive planting designs, patios, outdoor kitchens, and fireplaces. 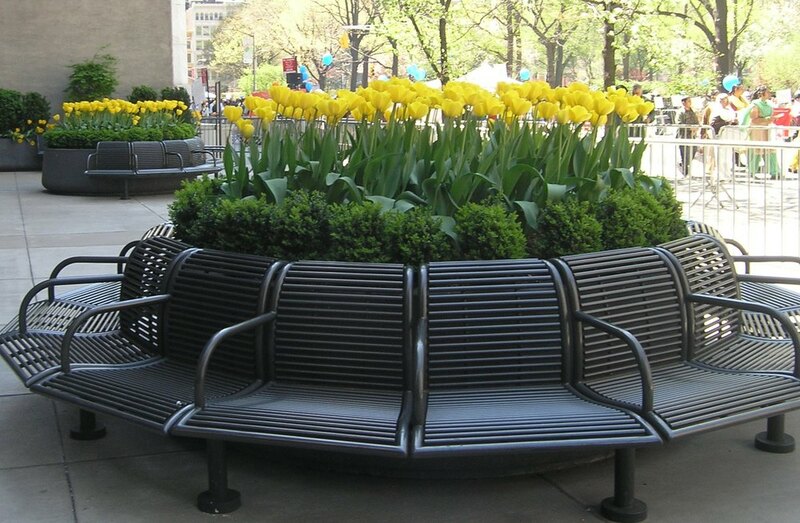 View our street scape designs which include seasonal flowers, hedging, and large tree planting. View our work with water features in both commercial and residential projects. Our work ranges from public plaza fountains to backyard coy ponds.